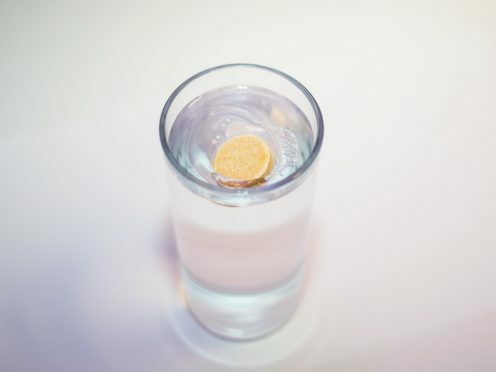 The WHO initiative comes after a US investigation using methodology developed at the University of East Anglia (UEA) found that most of the 259 bottles of water tested were contaminated with microplastics. The tests, carried out at the State University of New York in Fredonia and co-ordinated by US-based journalism organisation Orb Media, found an average of 10 plastic particles per litre of water, each larger than a human hair. Microplastics are small plastic particles from a variety of sources including cosmetics, clothing, industrial processes, packaging materials and the degradation of larger plastic items. It is known that microplastics are found in the environment at high levels, particularly in aquatic and marine ecosystems. Researchers at the UEA pioneered a rapid screening method to identify microscopic plastic particles – as small as a few micrometres – in water by staining them using fluorescent Nile Red dye. Dr Andrew Mayes, who led the research team at the UEA’s School of Chemistry, said: “We are becoming increasingly aware of microplastics in the environment and their potentially harmful effects, but their prevalence in other areas has been much less studied. “They have been reported in tap water, beer and many other foods, but I think that people will be surprised that almost all bottled water appears to be contaminated too. “This study analysed more than 250 bottles from 27 lots and 11 different brands from around the world, so it is the largest and most comprehensive study of water I know of to date, and almost all were contaminated to some degree. “The method we pioneered here at UEA was used, and it is very pleasing to see it used to facilitate this type of large-scale study, which would have been hugely time-consuming and prohibitively expensive using conventional approaches. “What the results don’t show is where these plastic particles are coming from – but I would expect that most is coming from the processing and packing process, though some may be coming from the original water source in some cases. There is no evidence that microplastics can harm human health but the WHO said it wanted to assess the state of knowledge. Bruce Gordon, co-ordinator of the WHO’s global work on water and sanitation, told BBC News that the key question was whether a lifetime of eating or drinking particles of plastic could have an effect. He said: “When we think about the composition of the plastic, whether there might be toxins in it, to what extent they might carry harmful constituents, what actually the particles might do in the body – there’s just not the research there to tell us. A UK Food Standards Agency spokeswoman said: “Based on current information, including the evaluation on the safety of microplastics exposure from food undertaken by the European Food Safety Authority, it is unlikely that the levels of microplastic particles reported in this study to be present in bottled water would cause harm to consumers.